Will I need a prescription from my doctor to get lab testing done? A doctor's or physician's order is required for testing, and we provide this for you. Our doctors will issue the lab requisition form after you place your order. You will simply print out the form and take it to the lab testing facility near you at your earliest convenience. (If you do not have access to a printer, you can also fax it directly to the lab from within your online account by clicking the "Fax" button.) In fact, HealthLabs.com offers many of the exact tests that your doctor would. The labs are the same, the tests are administered the same way and the accuracy of the results is the same. You can even share the results with your doctor. How are the lab tests administered? All tests are determined via urine or blood samples, depending on the type of test ordered. All lab tests take approximately 10 minutes or less. Are there any additional charges after I place my order? No. Once you place your order you are all set– there are no fees or extra charges for visiting the test center or for getting your results. Is there anything that I need to do before visiting a test center? Do I need to fast? Some tests require fasting or avoiding specific foods or drinks beforehand. You will be informed if the test(s) you order require additional measures on your part. Your lab results will be available and sent to you within 1 to 3 business days. Does HealthLabs.com accept health insurance? No. 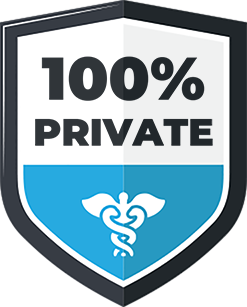 Since we do not accept insurance, we are able to guarantee that the HealthLabs.com tests you order and your test results are not placed on your medical record. (Of course, you can share the tests and results with your doctor if you prefer.) We accept numerous payment forms for your convenience, including HSAs and FSAs. Occasionally, health insurance companies will reimburse individuals for health testing. You can contact your insurance company to find out if they will reimburse you after testing. Do I need to make an appointment at a testing center? Because the labs themselves do not take payment, you must place an order online with us first to get tested. Afterwards, appointments are not needed and you can walk in at any time within the lab's normal business hours. After placing my order, how soon can I visit a test center? Immediately! Unless you are taking a test that requires fasting, you can visit the testing center of your choice as soon as you receive your confirmation email- no appointment necessary. If your test requires fasting, you choose when to begin your fast and visit the testing center after the appropriate fasting period- as with every HealthLabs.com test, there is no appointment necessary. Can I cancel my lab test order? You may cancel your order any time before your visit to the test center. Refunds will be issued minus a 20 percent (20%) cancellation fee. All cancellation requests after 21 days of purchase will be given credit for future testing. Please contact Patient Services at 1-800-579-3914 to cancel your order. The lab test I am looking for is not available on your site. If there is a specific test that you would like to have done that is not currently available online, please contact us at 1(800) 579-3914. Our team will be able to assist you in getting the exact test you are looking for. How will charges appear on my debit or credit card statement? To further protect your privacy, any charges on your statement will appear from "HealthLabs.com". After services are complete, we do not store your personal or financial information. What do I receive after placing my order? After placing your order, you will receive a confirmation email to login to your secure online account. Your online account will have your lab order form that you will need to print and/or fax to the lab (you can fax it directly to the lab within your account by pressing 'FAX'). The lab does not require an appointment. At your lab visit, a blood and/or urine specimen will be collected. 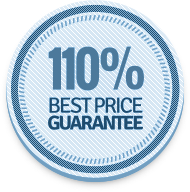 How does the 110% Price Guarantee work? If you find a lower price elsewhere for the exact same test that you've ordered, we will match the competitor's price and give you a 10% discount on that test's cost. Does HealthLabs.com offer result(s) interpretations? Yes. Our certified health specialists can walk you through your results and provide clarification if needed. Call us at 1(800) 579-3914 or use our live chat feature. Can minors receive lab testing via HealthLabs.com? No. We are only able to provide testing services for individuals who are 18 years or older.